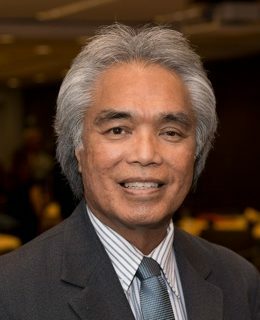 Leon Kaulahao Siu is of Hawaiian and Chinese ancestry. He hails from a small fishing village on the island of Hawaii. He was educated in the fine arts and is an accomplished composer, musician, artist, educator and diplomat. He is a lecturer on Hawaiian culture, history and contemporary issues. Mr. Siu is an astute participant, analyst and strategist in the political arena and has received international awards and recognition for his work in affecting public policy. He has also been a Hawaii contact and contributor to the Washington Times, the Wall Street Journal, Huffington Post and the International Diplomat. Leon Kaulahao Siu is actively involved in the movement to restore the Hawaiian Kingdom as a sovereign, independent, neutral nation. He is a citizen/subject of the Hawaiian Kingdom and serves as its Minister of Foreign Affairs representing the interests of the Hawaiian Kingdom in the international arena and working to revive diplomatic relations with other nations. He was nominated for the 2017 Nobel Peace Prize and in June 2017 he received the Gold Medal “UN Peacemaker Sergio Vieira de Mello” awards from the International Parliament. In 2016 he received the Knights Grand Cross Award of the Royal Order of Kamehameha I, the highest honor conferred by the Hawaiian Kingdom beginning in 1865. Leon Siu is also part of the creative musical duo, Leon & Malia, whose prolific compositions range from film scores to commercial jingles, to symphonic works, to children’s songs, to vintage and current Hawaiian music, to contemporary pop and exotic world-beats. Because of his versatility Leon Siu is sought after as a consultant to cross-disciplined, cross- cultural, multi-arts, projects.